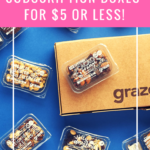 COUPON: Save 20% off your first box! Coupon deactivates when limit is reached. No code needed – just link here! Check out the Kids Clothing Subscription Box Directory and make sure to add Runchkins to your subscription list or wishlist! Runchkins works like some women’s clothing styling boxes. You begin by filling out an in-depth style profile for your child. Information about sizing, preferred colors and prints are all taken into account. For first-time customers only a $50 security deposit is applied to your credit card at the time of shipping. Once your returns are received the deposit is released. The $20 styling fee is subtracted for any clothing you decide to keep. For instance, if you keep a $35 dress you’d be charged an additional $15 on top of the original $20 styling fee. If you don’t keep anything from your box, you forfeit the styling fee. You have 5 days to have your child try all the pieces and then you mail anything back that you decide not to keep with the included free shipping label. Coming soon Runchkins will be offering the option for customers to buy gently used pieces in order to make your box more affordable. Runchkins also offers the unique twist that they guarantee to buy back all the items you’ve purchased once your child is through with them. Check here for more information on how their pricing and buyback systems work. Each box comes with a price sheet listing each item of clothing and the price. It also shows what you will be charged if you keep the entire box (minus the 10% discount and $20 styling fee). If you keep the entire box you also earn 10% as store credit for future purchases. This cotton dress is so cute and it fits my daughter really well. It’s made of 100% cotton and we both love the pattern and colors. When I filled out my daughter’s style profile I mentioned that she likes a lot of fun colors and patterns and loves animals. They did a great job with this selection! These cotton/spandex leggings are long which is great for my daughter because she’s quite tall for her age. They are soft and stretchy and I like the shirring and bow details at the bottom of the leg. This bolero is sized as a 3-4 which is very surprising to me because it just fits and my daughter isn’t even three till the fall. It’s 100% cotton and a nice sweater to have on-hand for dressier occasions. Of all the items I received this one would be my least favorite, but it’s still a useful (but pricey) staple. These leggings were meant (according to my pricing sheet) to be paired with the bird dress above, but I liked them better as pants on their own so I paired them with a simple white tank we already own and the bolero. We paired with these with the same white tank from above that we already own. My daughter loved them! I mentioned in my daughter’s style profile that she loved animals and specifically dogs. This dress is to-die-for! I love the drop waist, polka dot trim and dog print. It was slim-fitting so we will have to get as many wearings as possible before she outgrows it. I already have a friend clamoring for this dress as a hand-me-down when my daughter is done with it. This dress is a thick, soft cotton knit and is too heavy for the NJ summer, but will be perfect for the fall. The boat-neck with flower shaped button details make it even more charming. I love these footless tights with the robin on the read-end! They are thick and will be nice and warm for the cool autumn days. My daughter had a lot of fun modeling all the clothing and liked every single piece her stylist picked out for her. Verdict: I love Runchkins! I think all the pieces were of high quality and matched my daughter’s style profile to a T. I especially loved the really unique anchor shorts, bird dress and dog dress. These items felt extra-special. As a full-time working mom it can be hard to get out and go shopping for clothing for myself and the kids so a service like this has value to me in the time it saves. It was nice to be able to try everything on in the comfort of our home and I love that shipping is free both ways. The merchandise total for my box came to $190, but keeping all the contents brought that down to $171. What do you think of Runchkins? Have you tried it yet? How do subscribers rate Runchkins? Do you subscribe to Runchkins? Add your rating now! I’d love to see another review more current of this box. Trying to decide if I’d like it for my one year old! What a cute selection of clothes! Gave me little girl envy (clothing industry does not do little boys clothing justice *grumble*). Those dresses and shorts were so stinking cute! I feel you – I have a five year old son and I agree the clothing for boys never seems as cute as what I see for my daughter. Your daughter is too cute! She reminds me of my daughter at 2. She will be 5 in a few months. I love these clothes. Great designs and they look very high quality. Pricy though. Like most high quality, awesome kids stuff. Thank you, Katy! Yes everything was great quality. ?